Four strands of Peruvian opal heishi and a sterling circle chain accented with fresh water pearls charms. 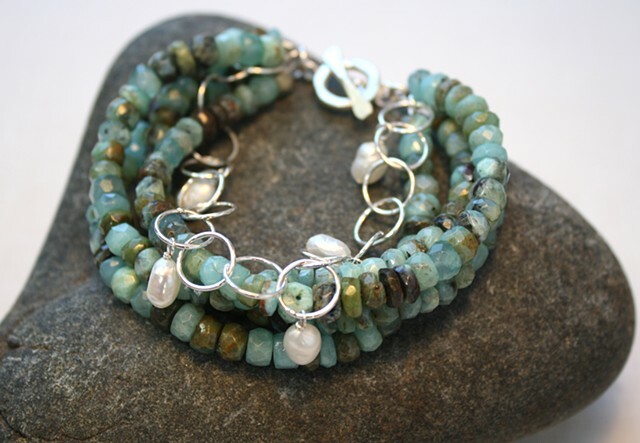 Reminiscent of the sea, beautiful to wear. Sterling Toggle clasp. Approx 7 3/4"